On Sunday, August 6th, Christ the Savior Church welcomed Reverend John Parsells, a newly ordained priest from New Jersey, as her first fulltime pastor since her establishment in 2000. 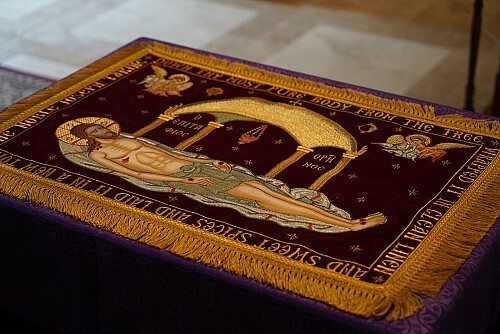 On Wednesday, August 16th, Christ the Savior Church celebrated its patronal feast with the commemoration of the Icon Not-Made-By-Hands. On Saturday, August 26th, the Parrish's had their new home blessed. 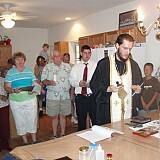 Following the house blessing, which was attended by family, friends, and parishioners, the Parrish's offered a barbeque. 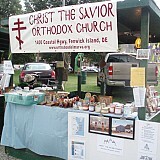 On September 9th and 10th, Christ the Savior Orthodox Church took part in the Ukrainian Festival held annually in Baltimore. The parish's booth raised awareness of our Mission to the people of the Delmarva region, as well as funds, for the growth of the Mission. Many thanks to those whose hard work made this possible! 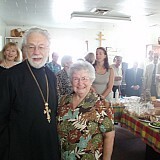 On Sunday, September 24th, the parishioners of Christ the Savior Orthodox Church, held a special celebration in honor of Protopresbyter Daniel and Matushka Dunia Hubiak following the Divine Liturgy. On October 28th, a Harvest Ball was held at the Golden Sands Resort in Ocean City, MD. The dinner dance was a splendid success, bringing together parishioners, long-time friends of the parish, and new supporters. On Monday, December 18th, a Bible Study was held at the church to consider the Nativity of Christ as told in Biblical Tradition and the film, "The Nativity Story". Sixteen people participated in the study and lively discussion was had. 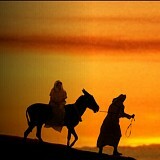 All are welcome to attend the upcoming Bible Studies to be held at the church in January and February of 2007. Dates and study topics are forthcoming.